It's been nice and quiet the last few days. School holidays don't end until Monday and we're trying to avoid crowds of people everywhere, so we've been staying home mostly. It also means more time to do some layouts. 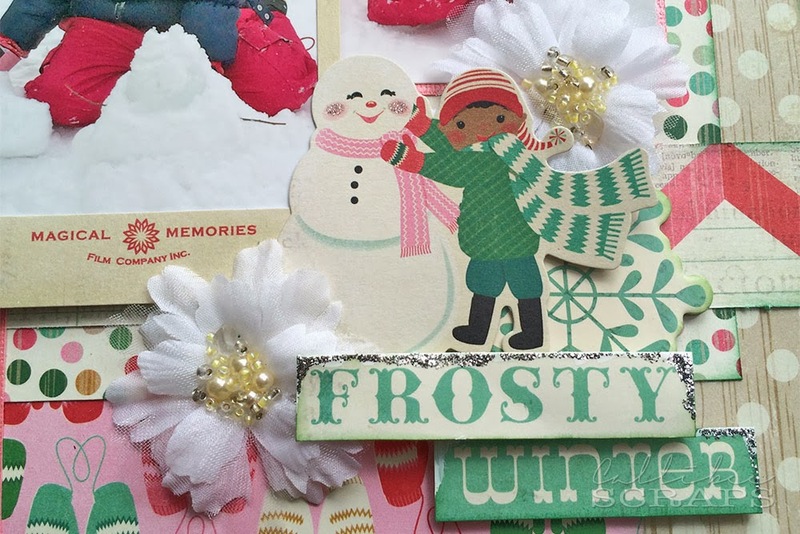 After our Japan holiday, I've been dying to scrapbook the snow photos and I had the perfect papers for it from my December MCS kits. How cute is the paper. 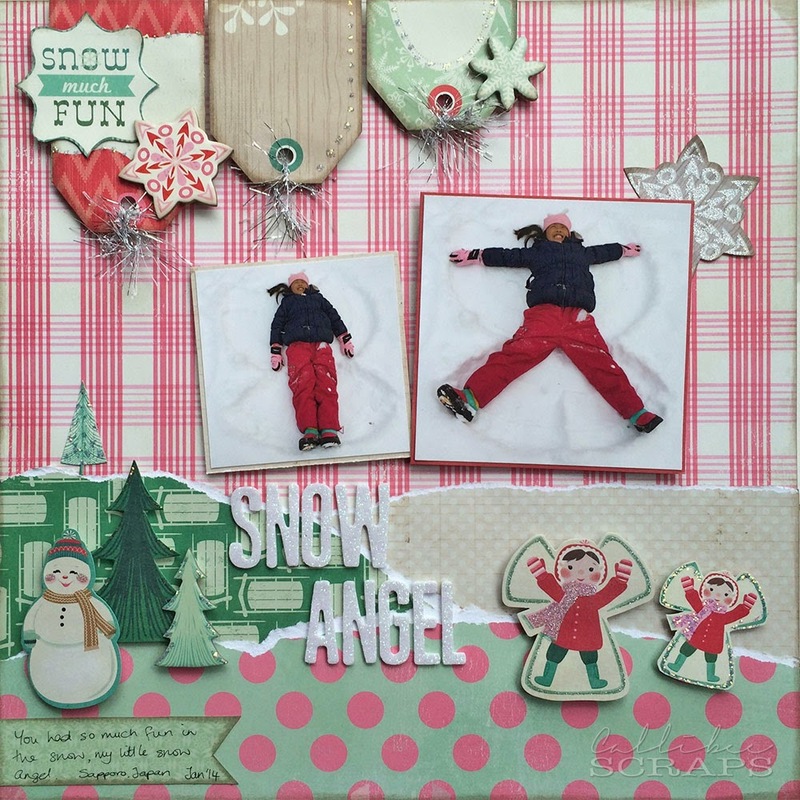 Love the pinks and greens, and the snow angel chipboard and cut out are too cute - absolutely perfect for this layout. I decided to make a landscape of the layout, with the hills and trees. 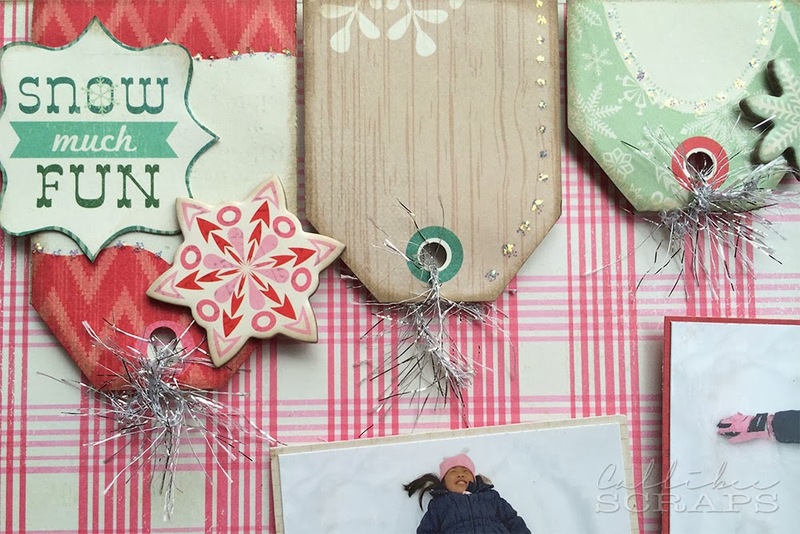 Layer your embellishments in such a way to give an illusion of dimension on landscape style layouts. I was wondering what to do with the empty space above the photos when I thought of using the cut out tags that came with the paper line. Just a bit of blingy stickles and tinsel to give it that wintery festive feel. These are some of my favourite photos. I love the white snow background in contrast with Miss C's snow outfit and her happy smile. Good thing it all matches the papers too. How do you like Miss C's snow cat? 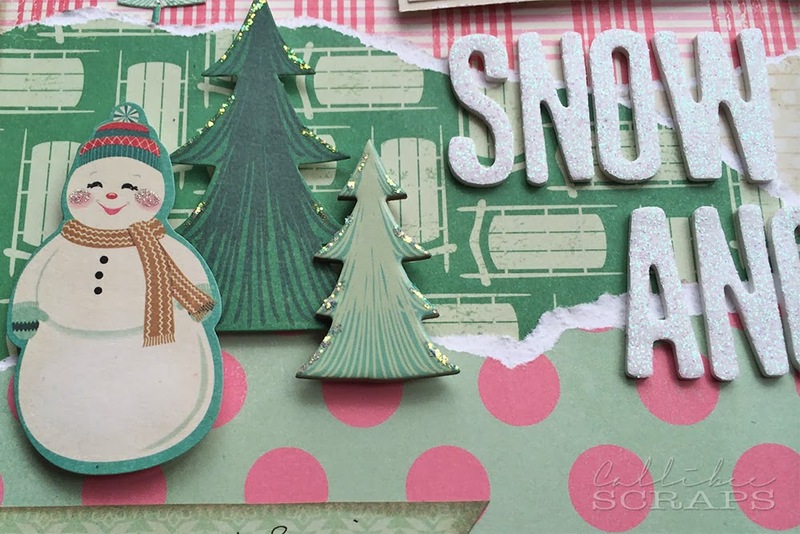 I edges the papers in green to pull the papers together and also added some silver stickles to some of the chipboard to mimic the snow. 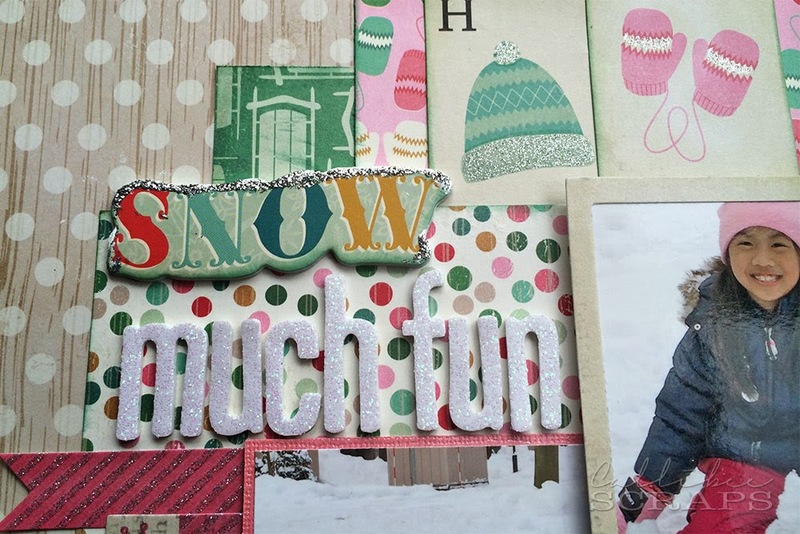 What cute and fun die cuts and chipboard pieces this kit has. Although I did add glitter to some of the written labels, I love how some of the other pieces are pre-glittered as well. OK, time to get some other projects done. I've been really bad about handing a class project to HKMC for the last few months, so I better get a move on that before they disown me, haha.